Two Sundays ago, I cooked supper for my in-laws and we had a wonderful time. I enjoy spending time with them. I get much needed rest when I’m visiting. I love talking to my mother-in-law; she’s one of my closest friends. I also love my father-in-law; he makes me laugh with his witty-self. They are awesome! I thank God for them…they have been such blessings in my life. (oh, I’m tearing) There is no end to their generous hearts and I appreciate all they have done for me, even before I was married to their son. They made me feel welcomed and embraced me from day one. They are the best grandparents to my two girls that a mom could ever want for her children. Thank you, Mom and Dad, for all that you have been and continue to be in my life. I love you! I cooked my Cheesy Chicken Enchiladas. It’s a favorite in our family and now it can be yours. In a medium pot, boil water with salt. Add the chicken, onion, garlic, ground cumin, chili powder, salt and pepper. Cook for 45 minutes or until chicken is very tender. 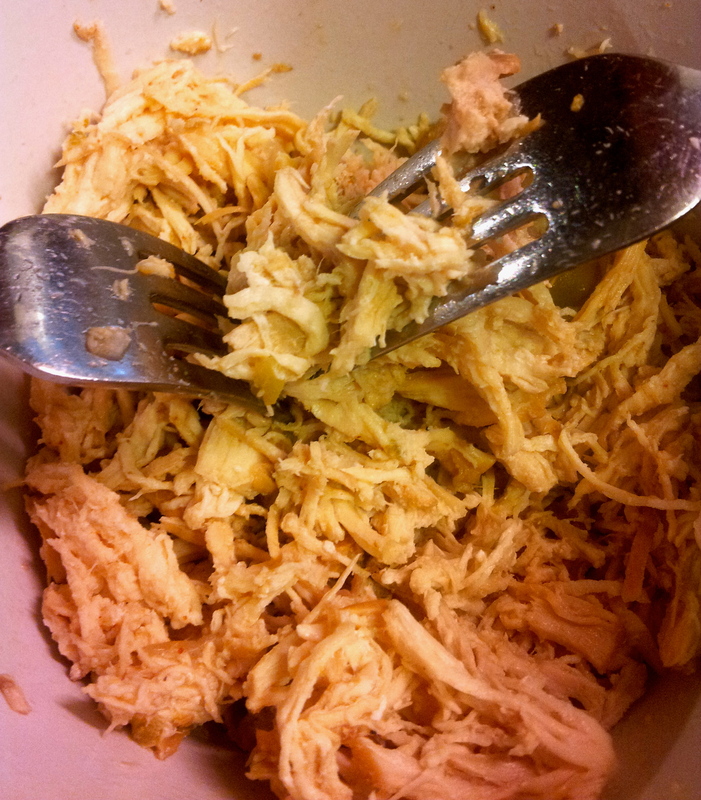 Once chicken is cooked, shred it and put in a bowl. Pre-heat oven at 350ºF. 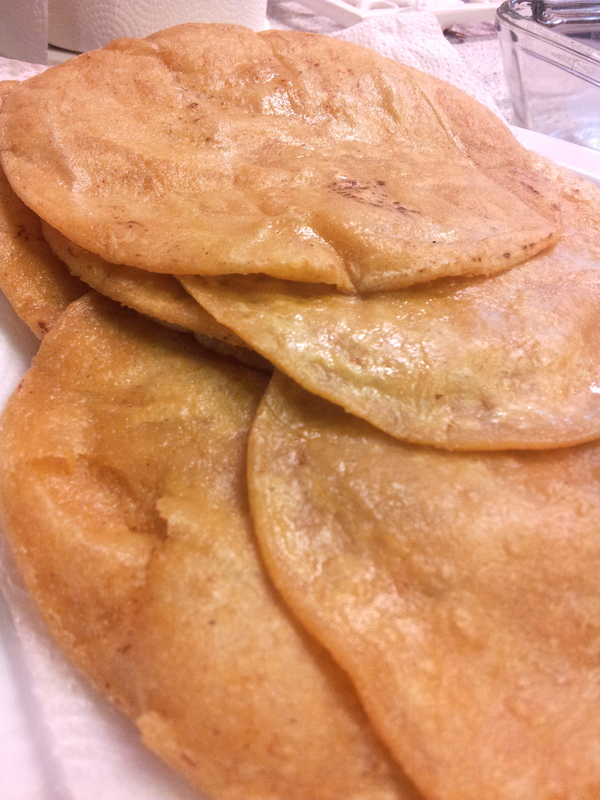 Deep fry the corn tortillas in olive oil over medium heat. 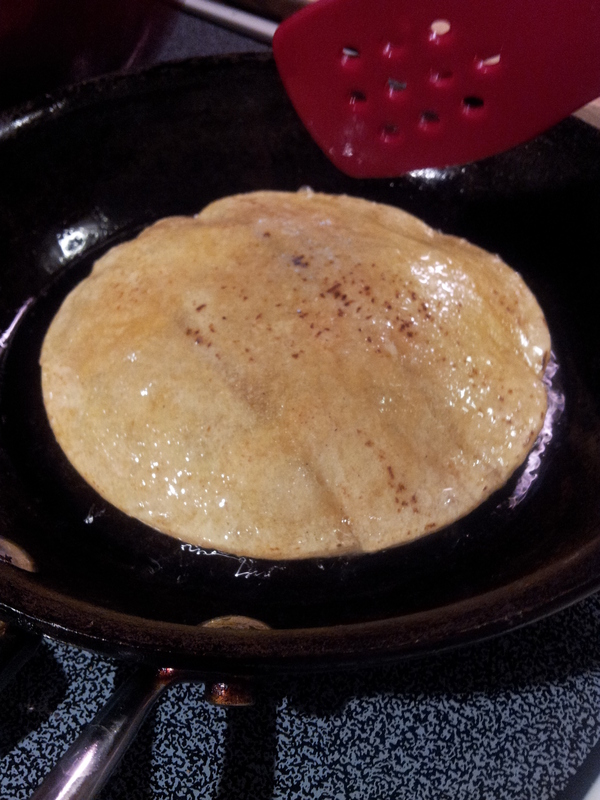 Cook the tortillas enough to be flexible but not crunchy. 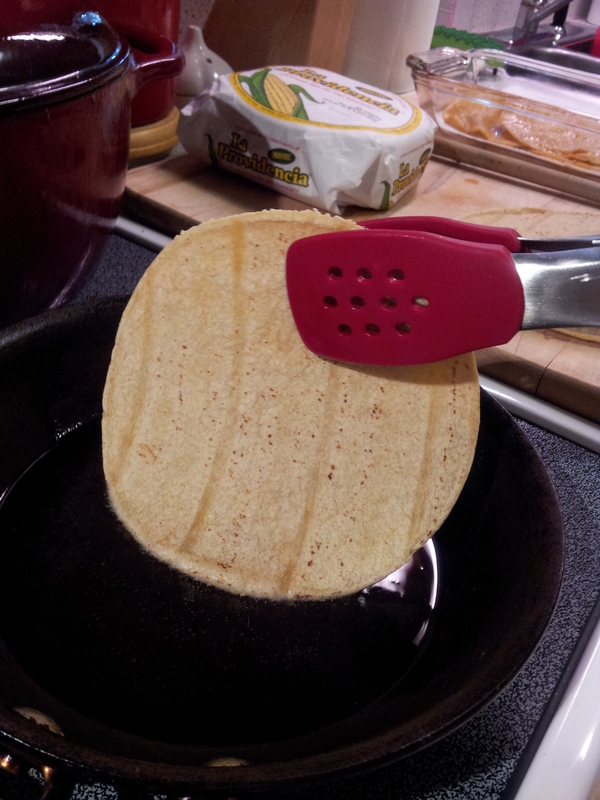 Place the tortillas on a plate with a napkin to absorb extra oil. Set them aside. 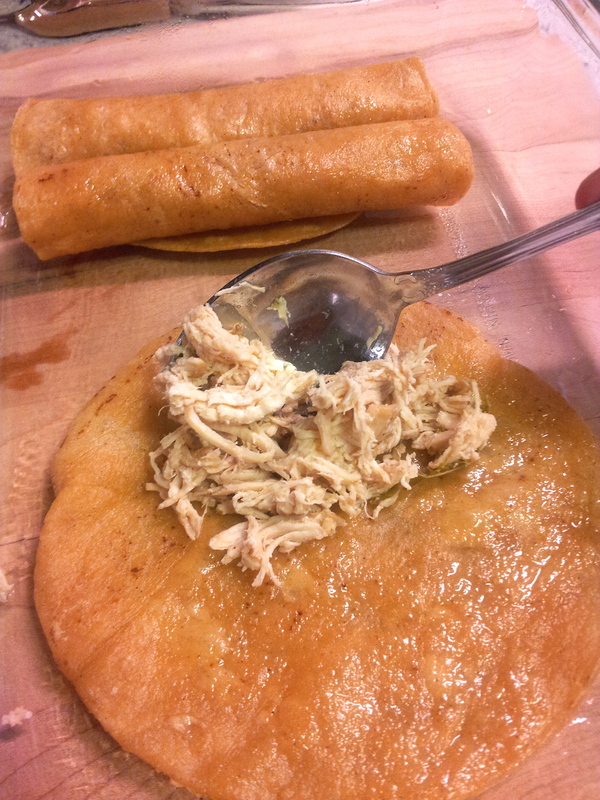 Fill the tortillas with shredded chicken and roll them into a taquito. 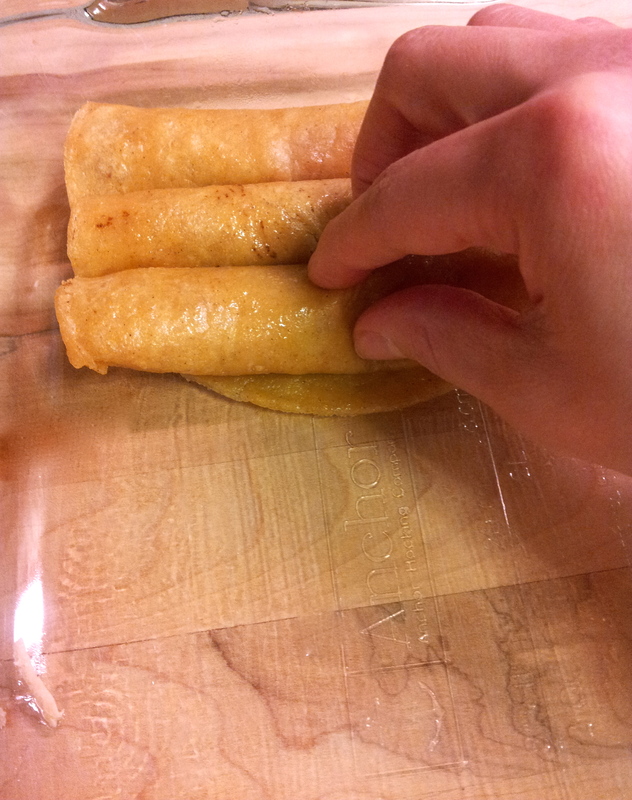 Line them side by side in a baking dish like shown below. Sprinkle 1/2 of the cheese and drizzle 1/2 of the sauce coving the whole dish. 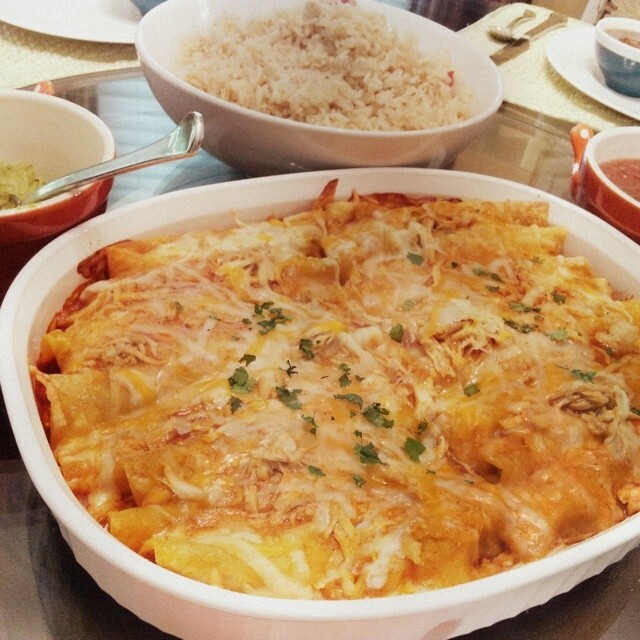 If there’s leftover chicken, sprinkle the rest all over the enchiladas. Bake for 20 minutes at. 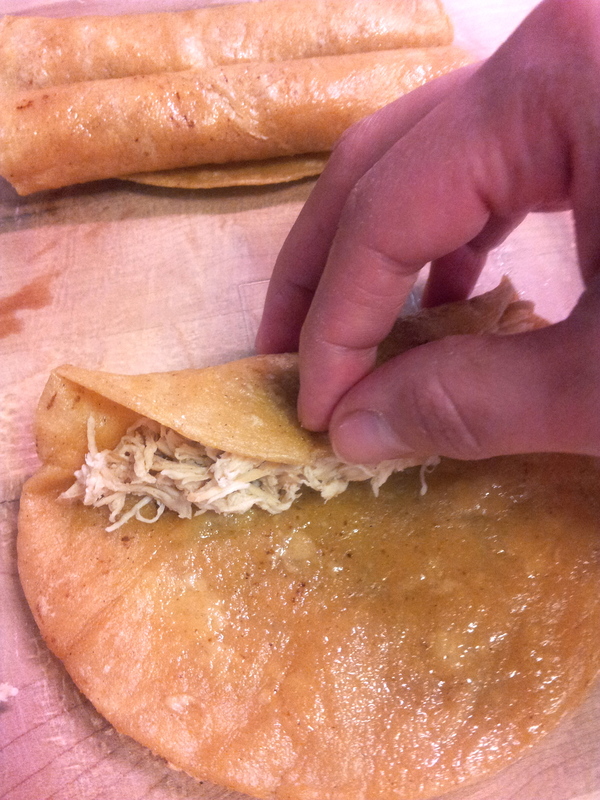 On the last 5 minutes, add the remaining cheese and sauce. Take out of the oven and let sit for 3 minutes to set. Sprinkle cilantro and serve with Mexican rice or refried beans. Enjoy!